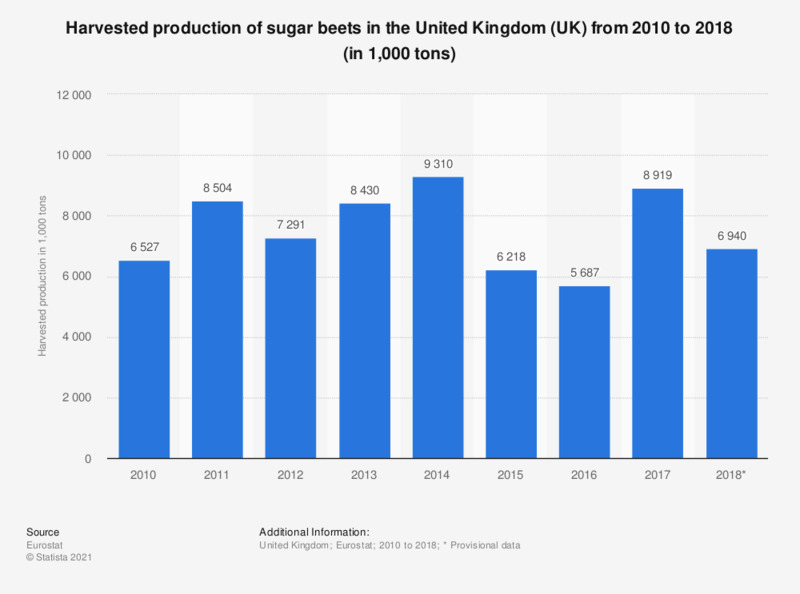 This statistic displays the harvested sugar beet production in the United Kingdom (UK) from 2010 to 2018. In 2018, the provisional numbers put the harvested production in the UK at 6.94 million tons. The production in 2017 was almost two million tons above the production in 2018. Data coverage corresponds to code R2000. Everything On "Sugar industry in the United Kingdom (UK)" in One Document: Edited and Divided into Handy Chapters. Including Detailed References.